Here is a Dub Nation inspired colorway from Anta. 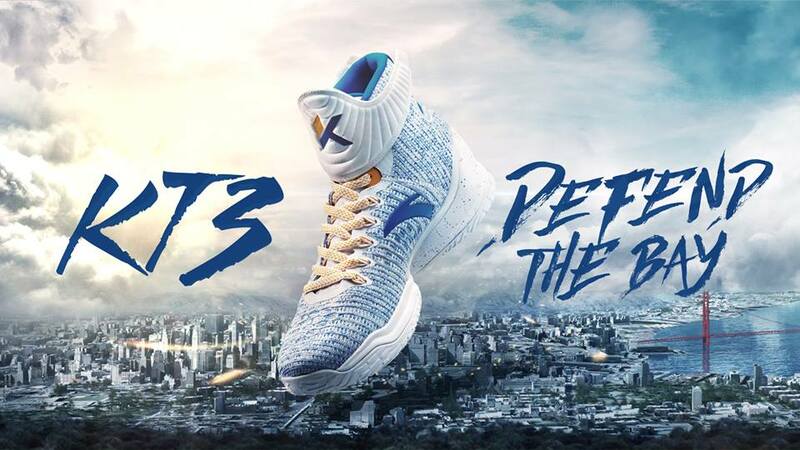 The Anta KT3 "Defend the Bay" basically carries the Golden State Warriors home colorway. This one has a white base made of knit material with hits of blue and gold. You can see the blue-speckled midsole where they house the tri-density foam. White solid rubber outsole completes the look. There are lots of feedback regarding this shoe in general. I'm also planning to cop a pair for myself just to try the shoe and how it performs on court. If you guys want to give this shoe a shot, then you can get them at Anta America <HERE> for $119.